Its looking like the season is in full swing now. What a great weekend we had last week. 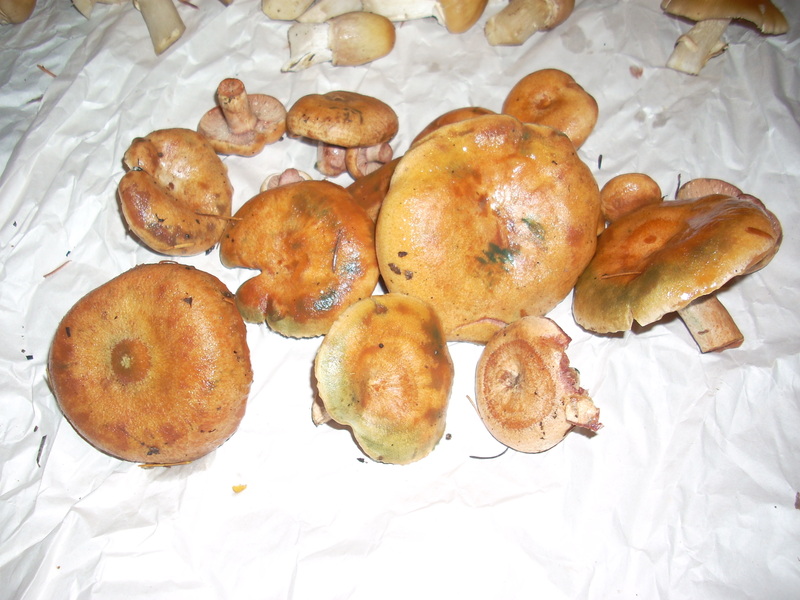 The weather was great, there we mushrooms to pick, mushrooms to show and mushrooms to cook! Our sixth annual meeting happened last weekend and was a great success. We had more people come through the hall than any year to date and our membership continues to grow. Our guest speaker this year was Taylor Lockwood who gave two presentations, titled “Spirits of the Forest”. The presentation was a 56 minute show, filmed and edited by Taylor who also wrote and scored the soundtrack for the film. 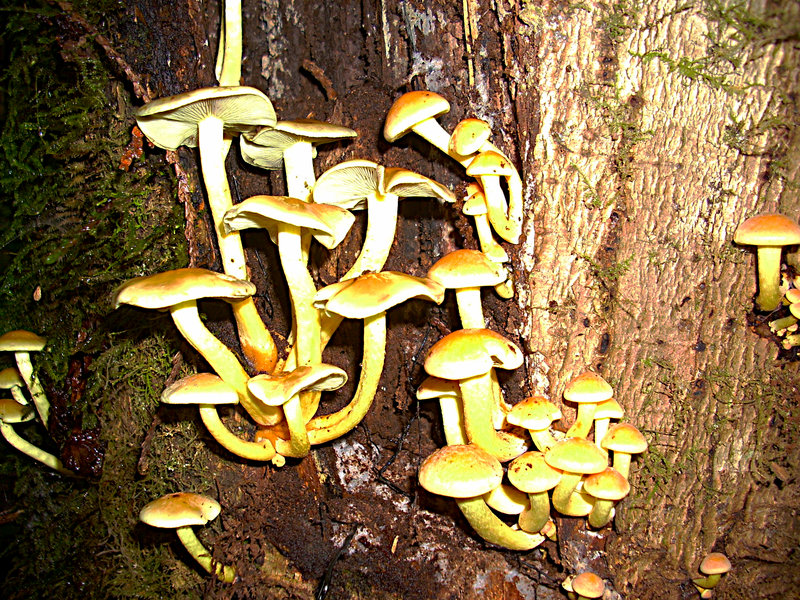 The show featured Taylor on a world wide quest to find and film bio-luminescent mushrooms. In his quest he traveled to Brazil, China, Madagascar, New Zealand, Australia and America. Taylor’s presentation was both fascinating and educational. Last Sunday, our local experts lead a group of over 30 people on a foray into the local woods. After the foray,m they returned for a demo and cook-up of some of the edibles. 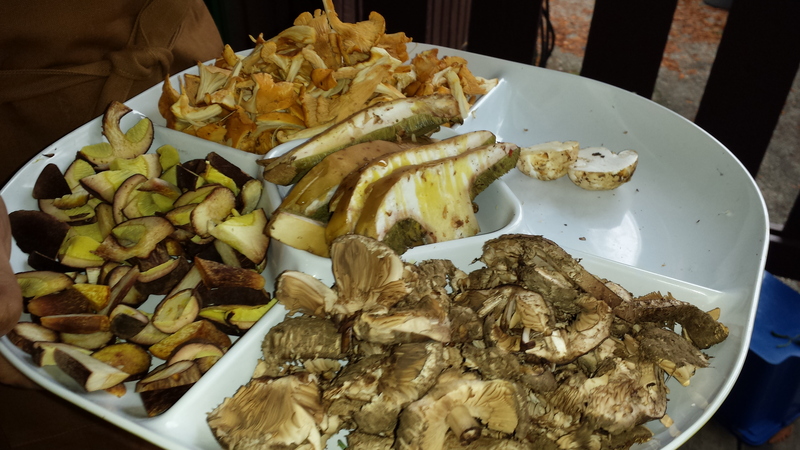 I was in my glory as I got to do some of the demos and cooked up several dishes made with some of our choicest wild mushrooms. In the dish on the lower right are shaggy grey parasols, which I sauteed with onions, garlic, herbs, white wine then added sour cream; on the far left are admirable boletes served in an alfredo sauce which would be great on perogoies; at the top are golden chanterelles, simply pan fried and served on toasts; in the middle was one large King Bolete or porcini, pines and saffron milkcaps that were grilled on the BBQ. I also sliced then steamed pines in the rice cooker on a bed of rice. 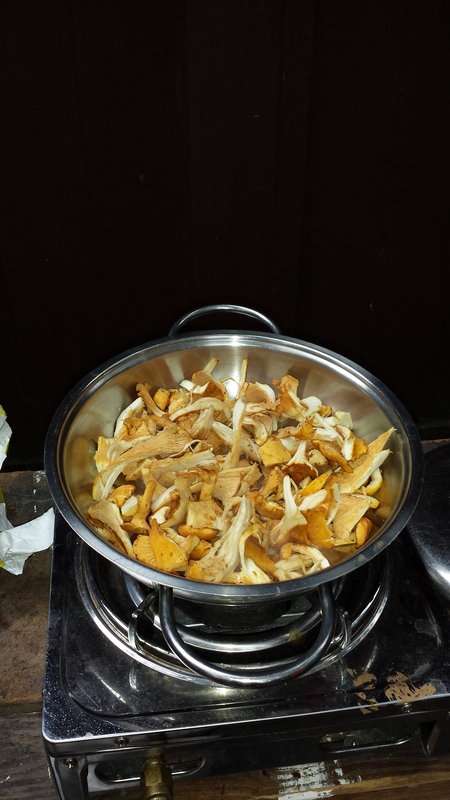 There was also had a delicious wild mushroom medley beautifully cooked in a soup, served with truffle oil and sour cream…..yummmmm! Back to our what Ifinding out there, well this has been a month where I have’t picked in the quantities that I did in previous year, but there has been more diversity. 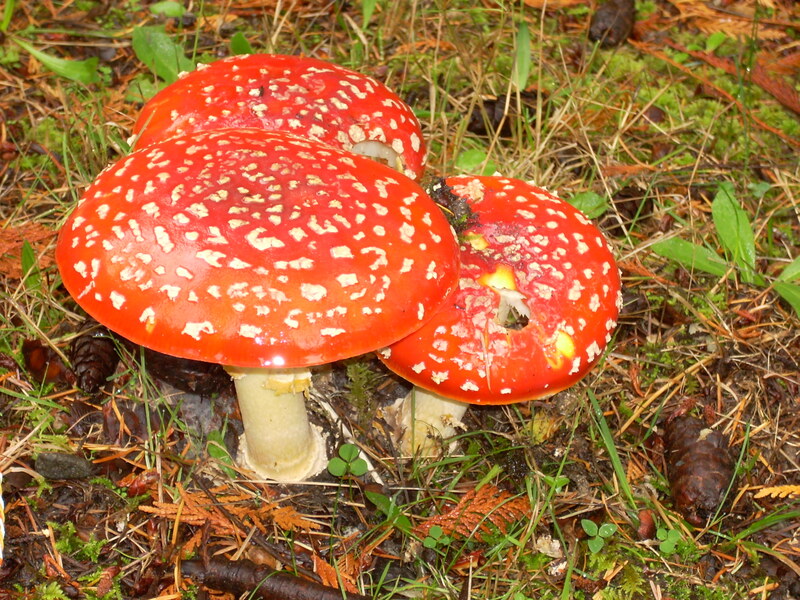 Lets start with colour..Amanita muscaria …there seem to be more this year than I have seen in previous years and in more places.. 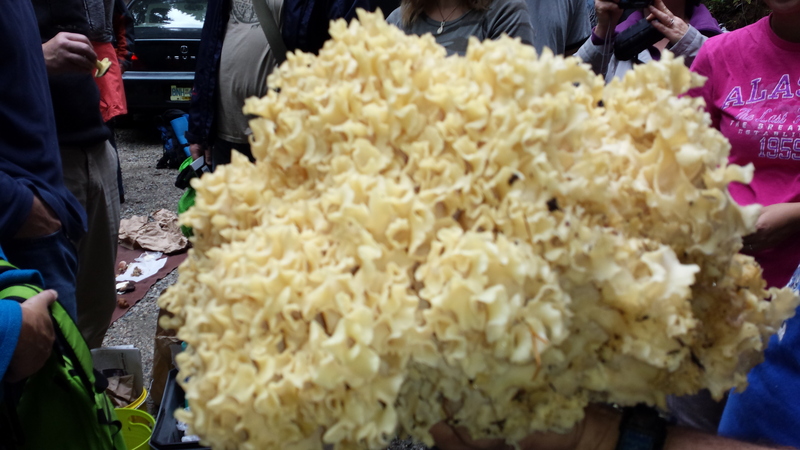 This has also been an incredible year for the Western Cauliflower Mushroom -Sparassis radicata. There was rumor of finds as big as 16 pounds!! I have usually had luck and found at least one every year, but this year, I have just found stubs where others have already harvested some. I was having my hair cut by John the barber just yesterday , and he told me he had found a nice large fresh one just a few days ago. He is Korean, and his wife told me that they dried their find and then make a tea out of it…that is how they like it best. 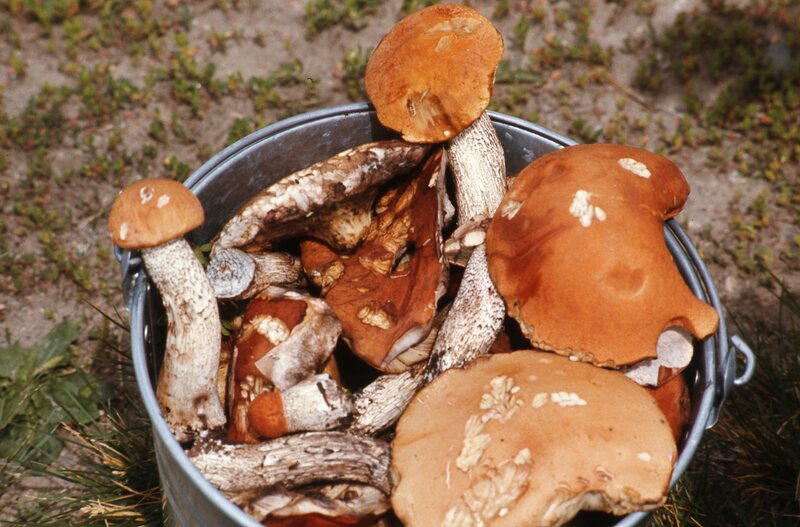 Clara also says that making tea is one of their favorite ways of eating the matsutake or Tricholoma Magnivelare…dried, then made into a tea, drinking the tea, then using the dehydrated mushrooms in a soup. There is variety in species, in some cases quite a few to harvest; the temperature is dropping; the forest floor is finally getting the moisture it needs and in my humble opinion, the season is just about to really begin. I will be off the coast for the week coming up, but when I get back, I plan on leading a couple of forays a week with our scshroom members. Keep checking your emails for details. Let me know where you would like to venture and I will see what we can organize. Good hunting out there, remember to respect our forests, walk gently, harvest wisely and I hope to see you on the trails some day. Coastalshroomer. Rumor has it that they are finally here! We also found a few golden Chanterelles, red bleeding lactarius, very young oyster mushrooms, many, many sullus lakei and a couple of gypsie’s. 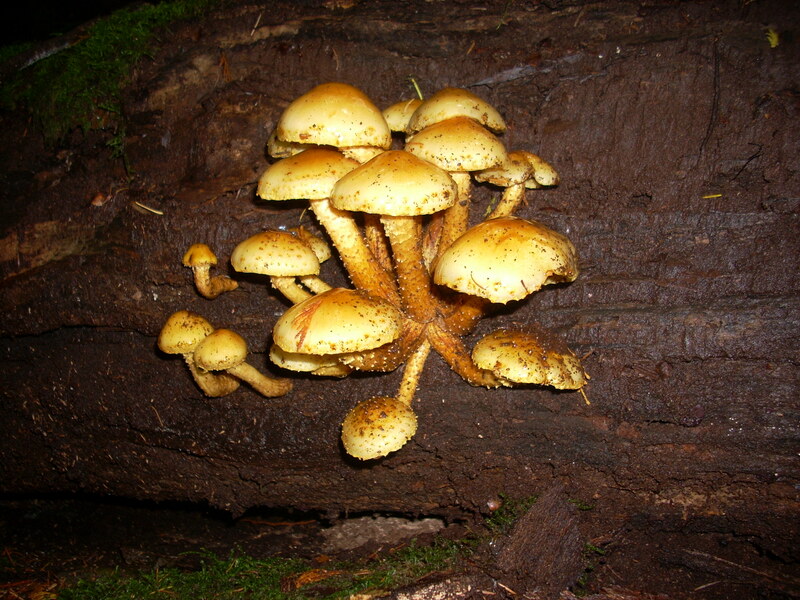 This weekend is our Annual Mushroom Festival with Taylor Lockwood as out guest speaker. His presentation is titled The Spirit of the Forest and happens Friday, October 17th, at 7 pm in the Roberts Creek Hall. He also talks on Saturday afternoon at 5 pm at the Botanical Gardens. Admission to both is $10 at the door. The main event takes place Saturday in Maderia Park, at the community hall. The doors open at 11 am and close at 4. There will be hundreds of examples of local mushrooms, both edibles and non, with our local experts staffing the ID tables. There will also be demonstrations of cooking mushrooms, dying with mushrooms and several vendors selling all manner of merchandise, many mushroom related. 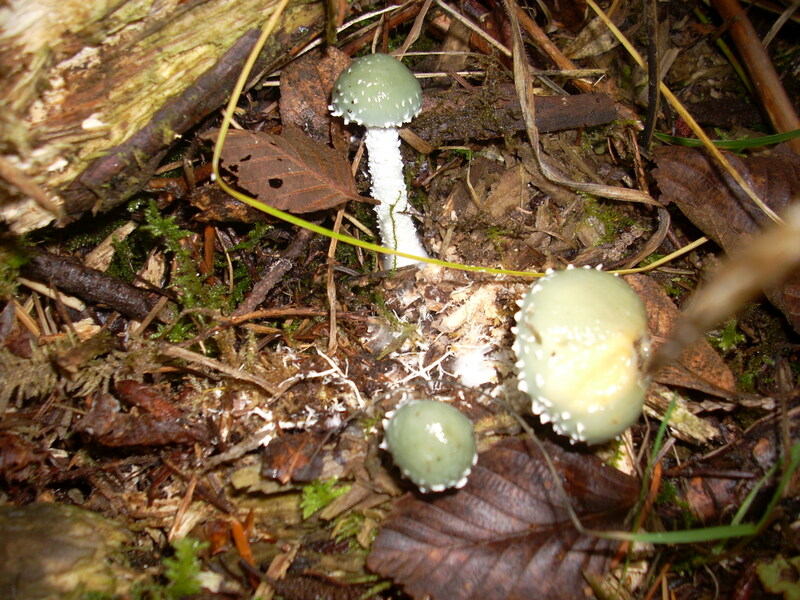 On Sunday Scshroom will be leading a foray int the local woods which is open to the public. The foray is limited to 30 people. 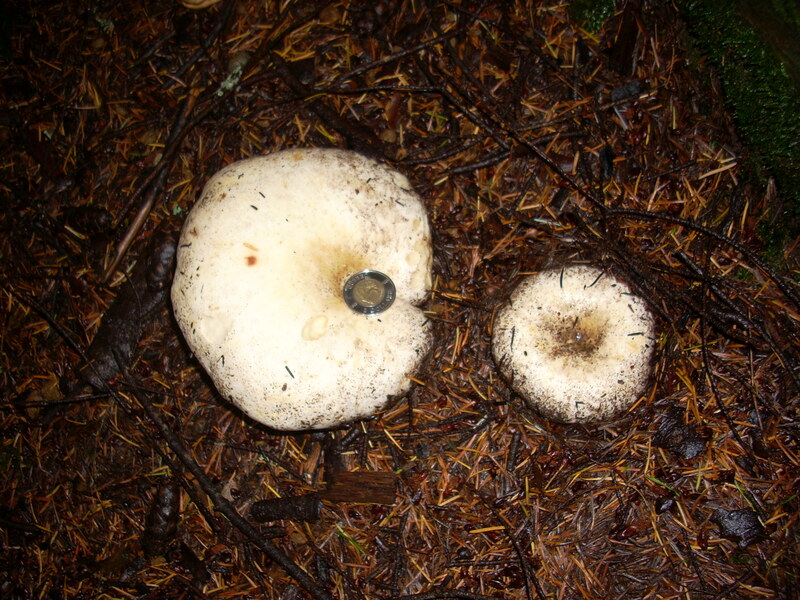 For more information check out the SCSCHROOM web page at http://www.scshroom.org. But back to those delightful little “hubba”( Slavic term of endearment for little mushrooms). I just spoke with my neighbour who just had a friend drop off a bag full of Chanterelles. She tells me her friend says there are all kinds mushrooms to be found out there! Get out and start picking….but save a few for the rest of us, soem for the wild life that depend on them as a food source and some to continue to propagate their bounty for the future. 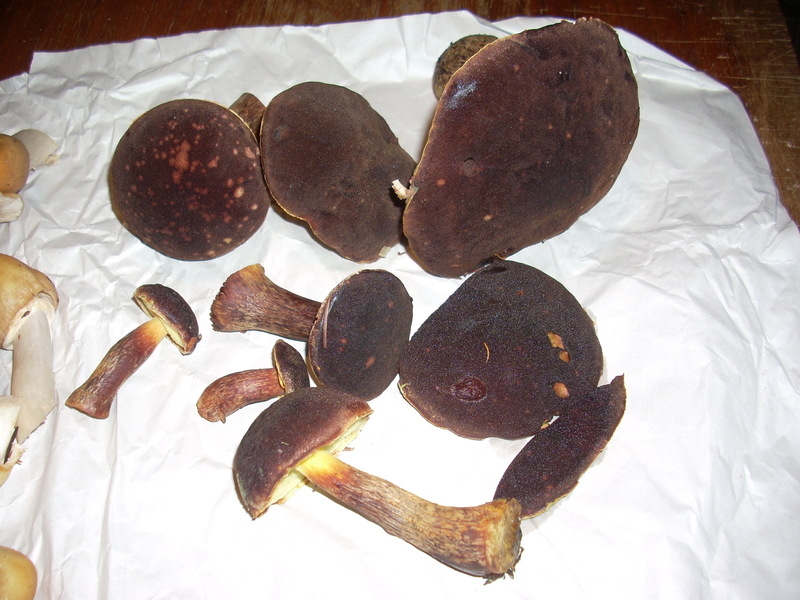 I also found a couple of King boletes just down the street today, but alas, they were only good as food for worms. Here is the picture…if you are a bit squeamish, just avert your eyes, as it is alive with maggots. 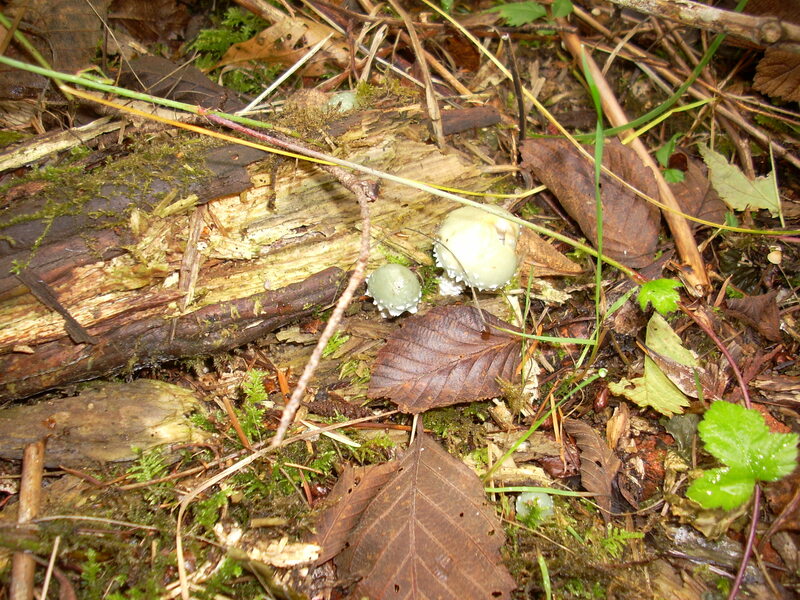 So I am off now to my “secret” patch of Shaggy parasols…they were coming up on Sunday and were small…by today they should be just right. October is here, but where are the Mushrooms? 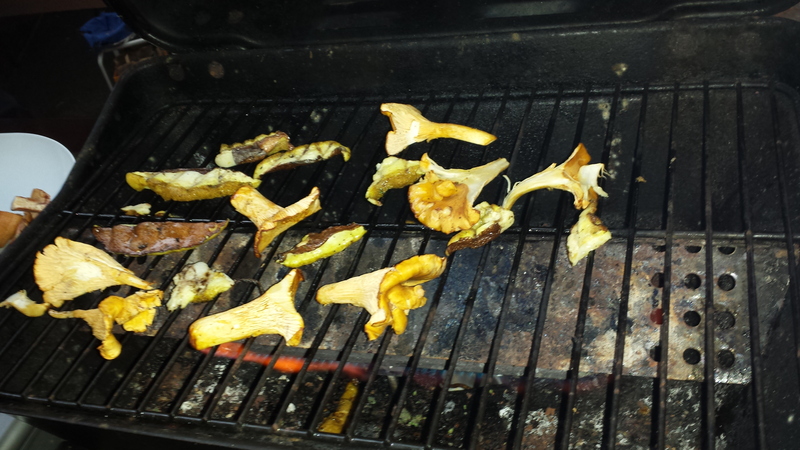 Okay…I guess I got spoiled with the incredible bounty of mushrooms we had last fall. Normally, by this time of year there are baskets full of Chanterelles, king and admirable boletes, shaggy manes and Gypsies to be had . Where are they all? We have had a couple of good rains in September, but with the extended dry spell this summer, it just may not have been enough yet. It has also continued to be very mild, so the soil temperature has not dropped to the ideal temperatures to stimulate fruiting. I have found a few edibleness, but unfortunately I have been off my feed for almost two weeks. I have missed a couple of windows of opportunity to get out there and check out those low areas. It’s amazing how laying around for two weeks can slow you down. I went out for an “easy” walk to check out a couple of my regular places on Friday. I was just out for an hour and a half, but I was exhausted when I got home! Need to start training this week, so I can be ready to foray come the Festival in less than two weeks. 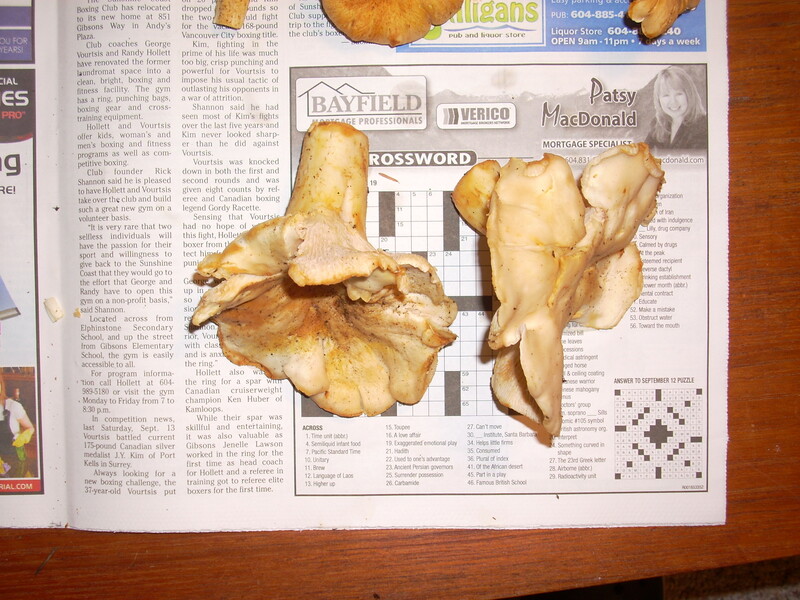 I did find a few things, in particular I found a very nice patch of Pigs ears, Gomphus clavatus. I have found them in the same place for the last three years. Each year, I take not more than a third of what is growing, and each year there is more. 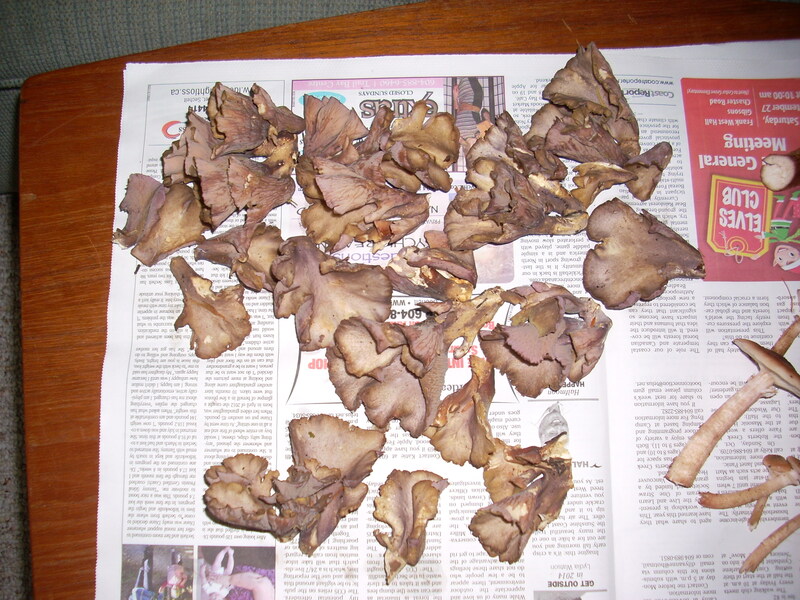 These are very good, meaty mushrooms that I like with gravy made from a pork roast. Trouble is you need to get them young as they seem to attract worms as they get bigger. So what you may ask, just a bit more protein maybe? 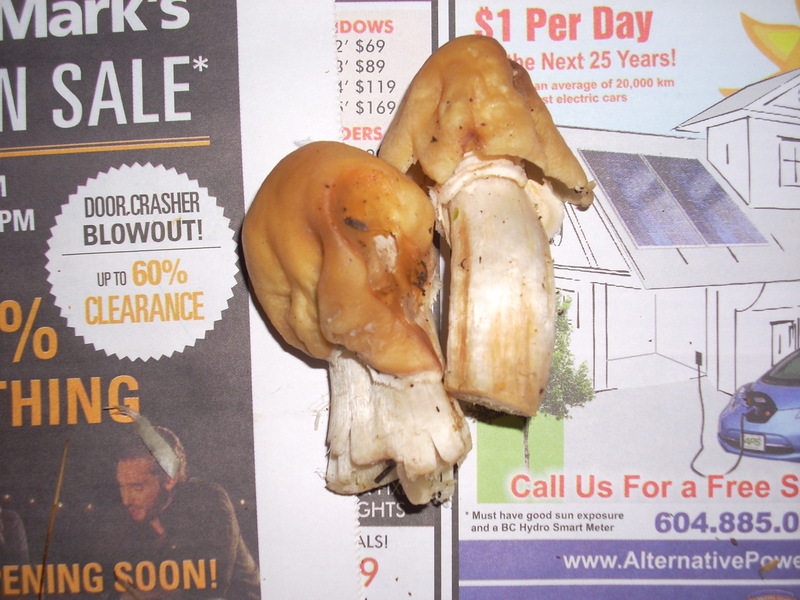 Among us mushroom fanatics, there are three groups… those that will eat a mushroom that may have larva in it; those that will not go near one that has even one and those that having a variable gauge which tells us to eat or not eat the wormy mushrooms.. If we don’t see them, even though they are likely there, we may eat them, if we see them, maybe we won’t. I am in the last group. 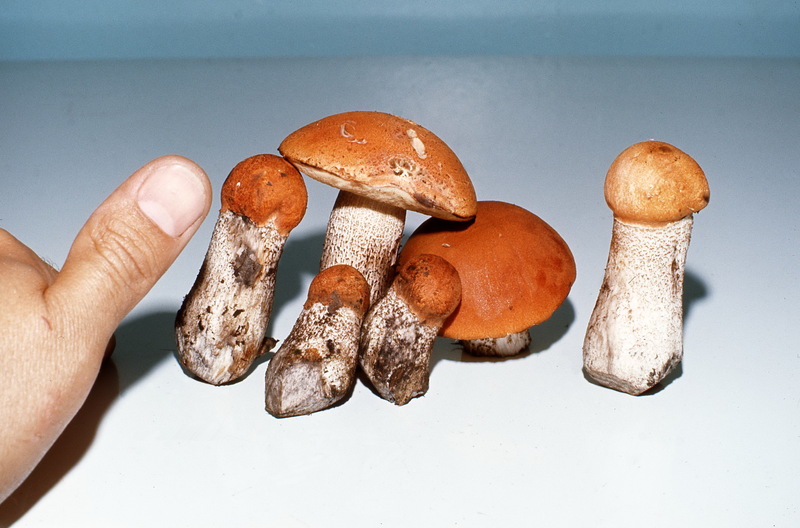 My reason, because it is often the choicest mushrooms that seem to get infested, like most boletes, and especially procini, or the King bolete. 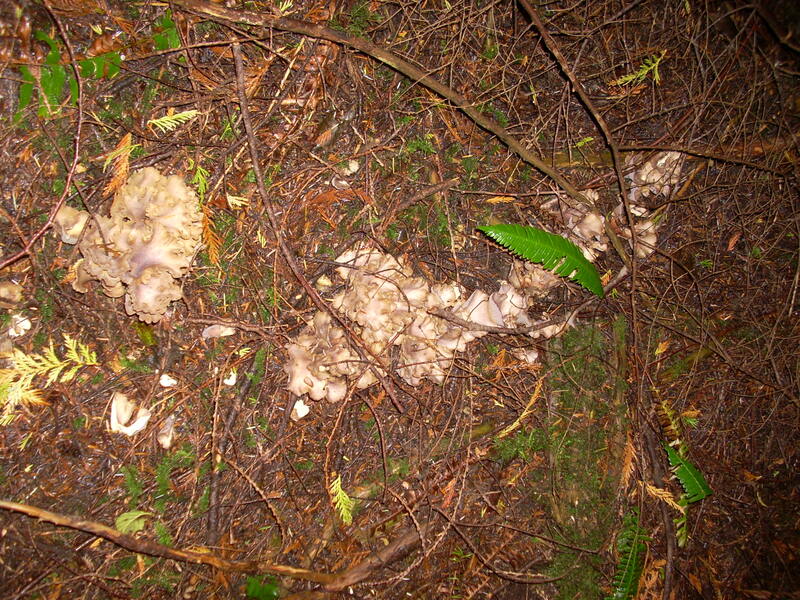 My father was a fanatical mushroom hunter and eater. Nothing made him happier than to be out in the “bush” searching for mushrooms. He picked what we called ‘Red Tops” or in Ukrainian, “Kozaree”. 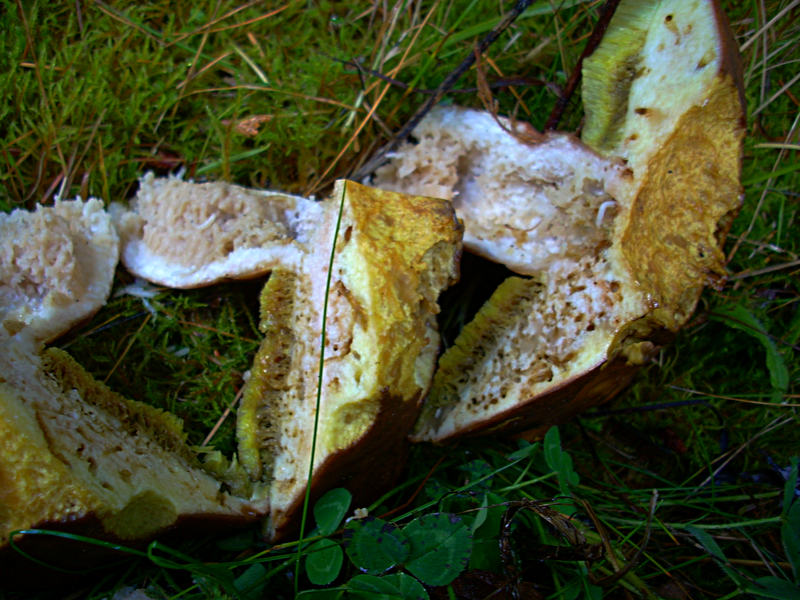 Leccinum aurantiacum. They were often wormy if not picked within hours of popping out of the ground. He would take each one, and carefully cut out the wormy bits and keep the good parts. 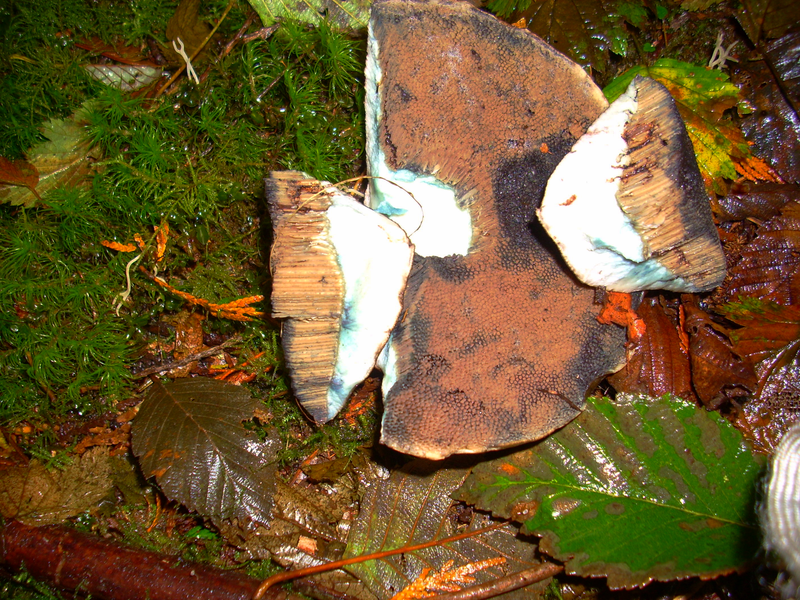 I remember helping him do this, our hands and mushrooms turning blue-black, oxidizing as the inner fluid of the mushroom touched air. My mother would then take over. First she would boil them for an hour (she said to kill the poisons) then drain and either put them in jars and process them for eating in the winter, or add them to a cream sauce with onion and garlic. This was my mothers usual way of preparing mushrooms, in a cream sauce, serve over perogies , meat or just on good rye bread. 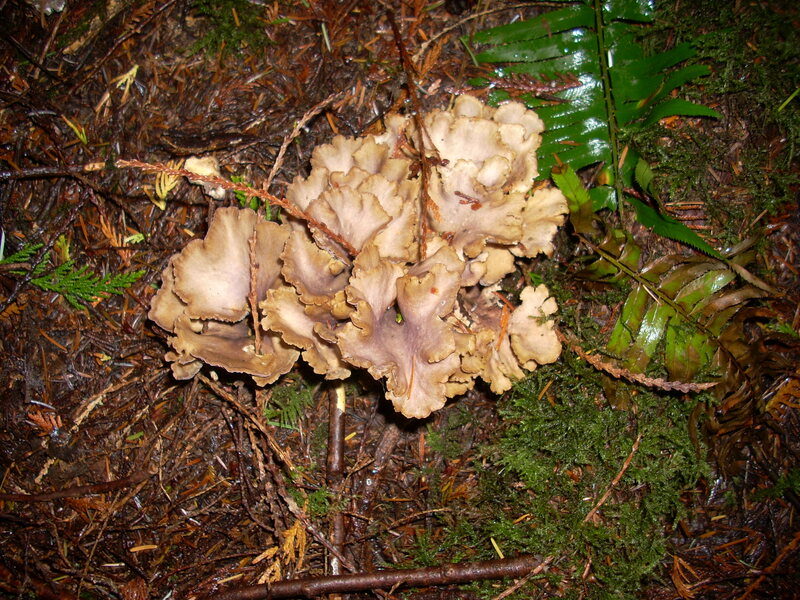 Back to my short foray last weekend, besides the Pig’s ears I picked I also found a few Chanterelles as well as a few Honey mushrooms. Not many, but a few. 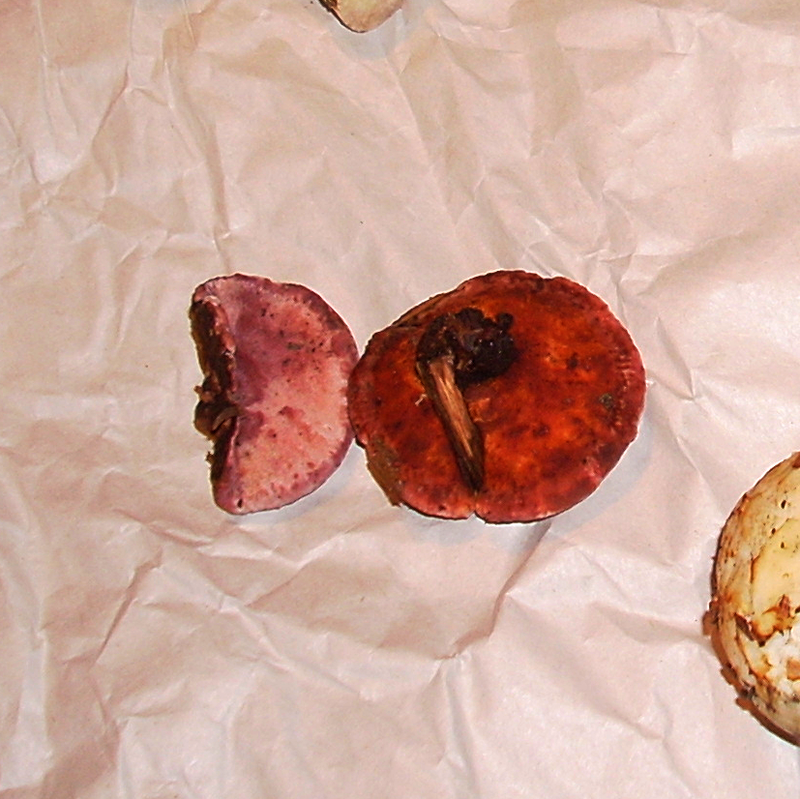 However not one bolete, or the Delicious milk caps! Where are they hiding? There were so many last year, I got tired of picking them. I did find one specimen that I have not identified. Actually credit must go to a friend Elen Alexov, who spotted this beauty. What is most striking is the bright green cap and the lacy fringe on the cap. At first I thought it was maybe mold, but on closer examination it wasn’t mold. 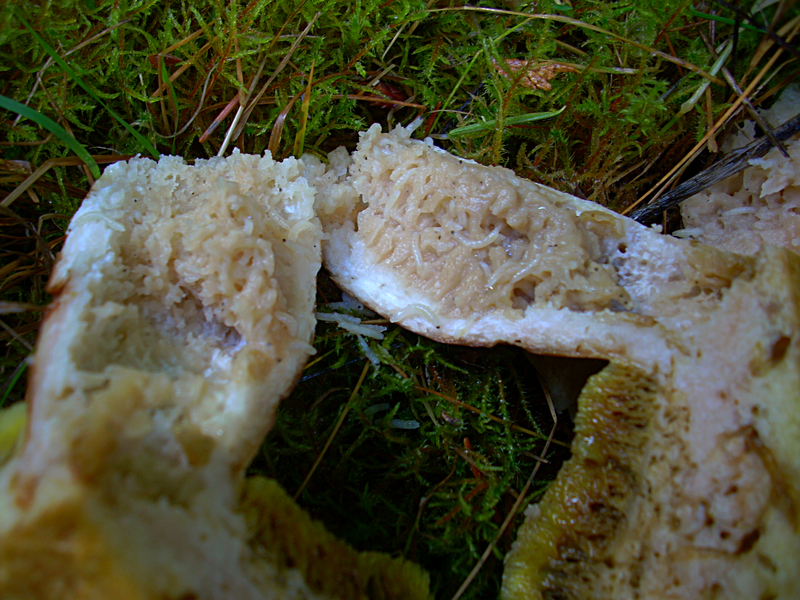 The reason I thought mold was that I found the stump of a beautiful large cauliflower mushroom, Sparassis crispa. The problems was that there were bits and pieces of the body strewn all around the base of the tree. When I picked them up, I saw that many of the fronds were tinged with mold, so someone must have pruned away all the moldy bits and taken what was good. A shame to had come too late. The good thing was that whoever harvested it, they knew to leave a good portion of the base so it could grow back next year. Not a great deal happening yet, but just down the road from me, beside the mail box, there are some beautiful Amanita muscaria coming up. 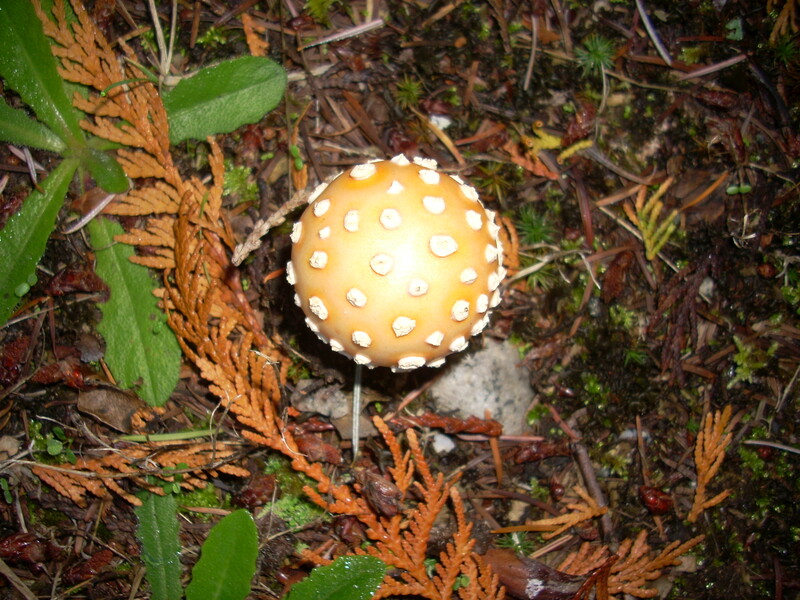 The amanita’s are always a good sign that the mushrooming season is about to begin. 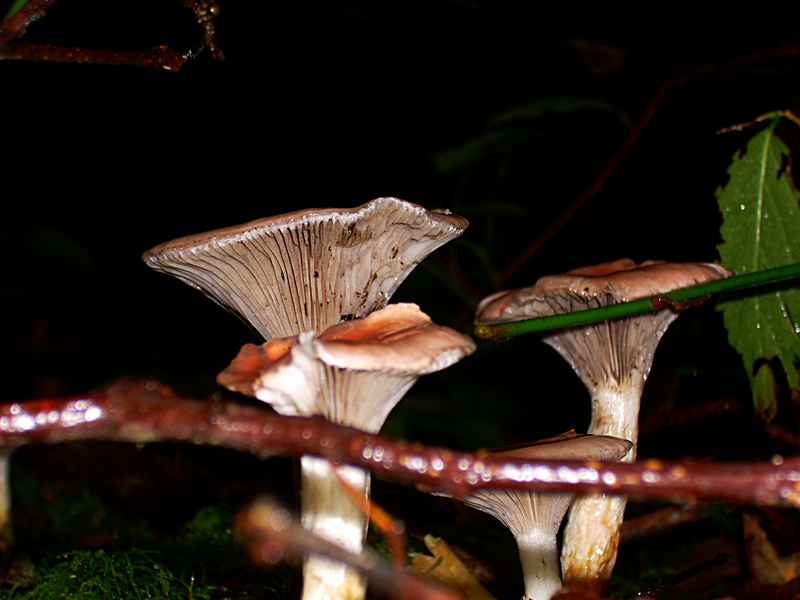 They are coming up a couple of weeks late this year so I am ever hopeful that our fungi friends will be coming up soon. Lets hope for more rain! Good luck on your forays and hope to see you on the trails some day. 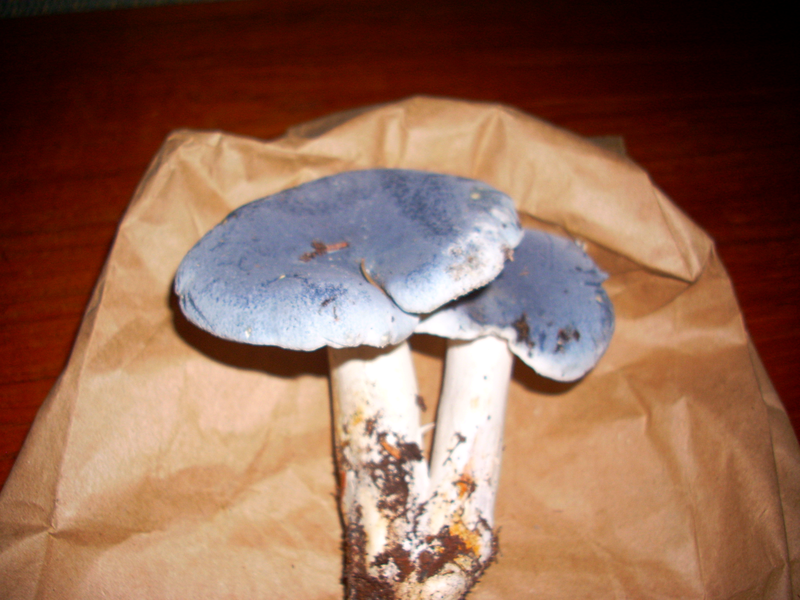 coastalshroomer.